Chief of India’s Naval Staff said that India’s locally-built Tejas fighters are too heavy to take off from its aircraft carriers. 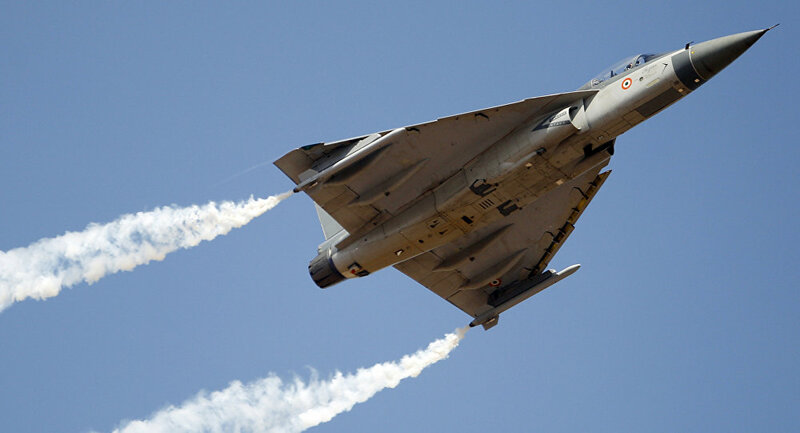 NEW DELHI (Sputnik) – India’s locally-built Tejas fighters are too heavy to take off from its aircraft carriers, the chief of India’s Naval Staff said. "In the present form, the LCA [light combat aircraft] cannot take off with its full weapon load," Adm. Sunil Lanba was quoted as saying by India’s Economic Times newspaper. Lanba said the Navy would operate Russia-made MiG-29K multirole fighters and urged the Defense Research and Development Organization to build an alternative in the next five years. India has two aircraft carriers. It received Russia’s decommissioned Admiral Gorshkov in 2013, which was renamed to the INS Vikramaditya, and is building its first indigenous carrier called the Vikrant.